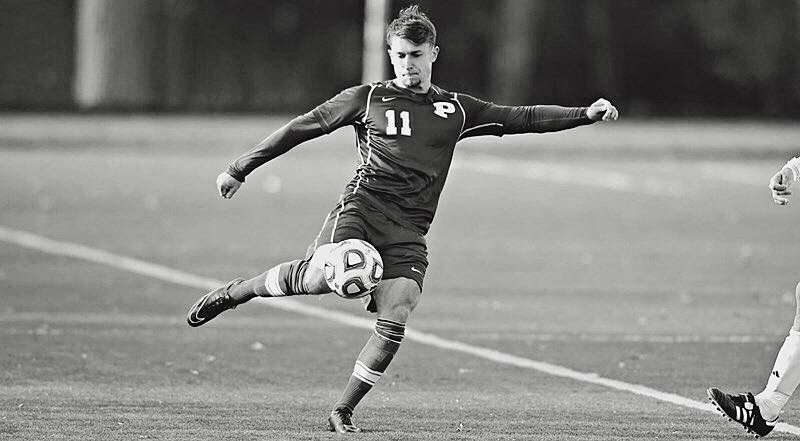 Jason Lampkin, a senior International Business major from Hawardon, North Wales, United Kingdom, serves as a winger for the LIU Post men’s soccer team. Lampkin sparked the Pioneers’ offense by scoring four goals in the first two games of the season. However, injuries have been an ongoing setback for him. Q: Coming off an impressive run in the NCAA Tournament last year, what are your expectations for this season? A: Our expectations are to just build on it. We went on to make history in last year’s tournament by making the quarterfinals, so having the freshmen gel with the existing group of players is key, since we lost our top goal scorer, Eivind Austboe, who graduated last year. Q: How did it feel to earn East Coast Conference player of the week after scoring four goals in your first two games? A: I really don’t read too much into it. For somebody who’s not really a goal-scorer, four goals was special for me. Q: How has your injury affected you and your teammates? A: I’m quite injury prone, so I’ve had my fair share of time dealing with injuries. We were all playing well together, but we have players who are capable of stepping up and filling in. Q: Is there anything the team can improve on moving forward? A: More confidence is needed. Sometimes we shy away from the ball and that can affect our confidence. Q: What was it like growing up in Wales? A: It’s the complete opposite of New York. There’s more green scenery and landscapes. A lot of things were different. Instead of saying third grade, we called it year three. 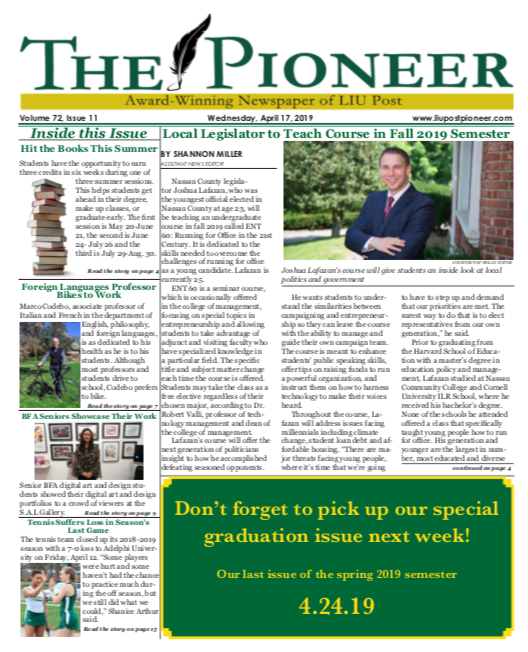 Q: What influenced your decision to come to LIU Post? A: I had some friends from back home who went to school in the states recommend this school and Post ended up giving me the best offer. Q: When did you first start playing soccer? A: I started playing soccer when I was eight years old for a local team. Q: Have you always been a forward? A: I’m more of a winger. I like to play fast anywhere along the forward line because that’s where I like to be. I avoid playing defense. Q: What is your favorite part about playing soccer? A: The feeling you get when you know you played a great game. Nothing can replace that. Our comeback win against Southern New Hampshire University was incredible. Q: Do you have any plans after graduating? A: I would like to make the pros, but there are no guarantees with my injuries. My dream is to make my own business. A: I’d have to say Muhammad Ali for his mindset. Bruce Lee is another one of my favorites. When it comes to soccer, I have to go with Lionel Messi because I love the way he plays and how quick he is. Q: What is one interesting thing that people might not know about you? A: My teammates call me European instead of English because my parents are from different countries in Europe. I can speak a few languages.